After spending time the prior evening with old acquaintances, B.B. King and Peter Frampton, Kenny Lee Lewis and his wife, Diane Steinberg-Lewis enthusiastically shared their fascinating, intertwining respective lives and experiences. Kenny and Diane have performed in San Luis Obispo County (California) in their band, the Barflyz, but are more well-known for Kenny being a member of the classic rock Steve Miller Band, and Diane for her role as “Lucy in the Sky” in the 1978 American musical film, Sgt. Pepper’s Lonely Hearts Club Band (in which Peter Frampton was also cast). The couple, who has been together almost 40 years, was more interested in recounting the history of Diane’s influential musical parents, than talking about themselves. To that end, they were compiling documentation, which included talking to B.B. 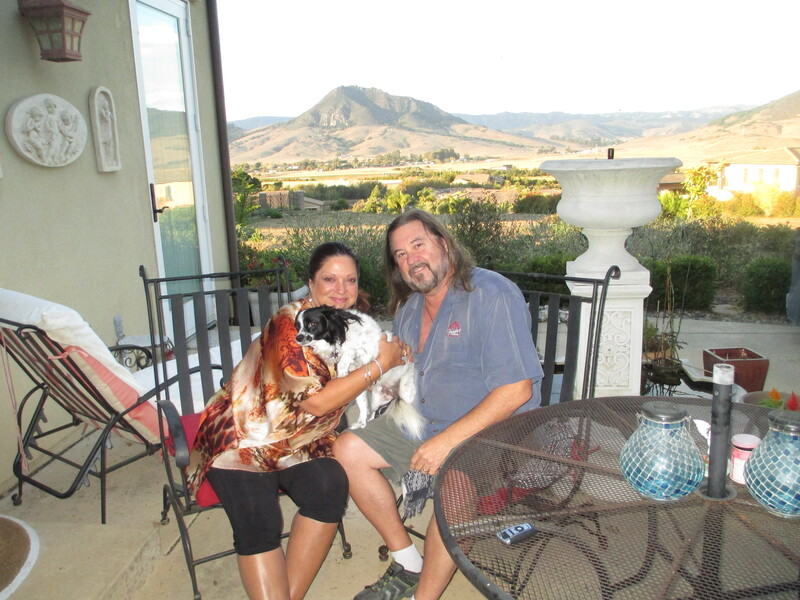 King after he performed in Paso Robles, California in September 2013, which is when I met with them at their home. Diane’s father, Luther Steinberg, played trumpet with legends Cab Calloway, Lionel Hampton, and Duke Ellington, was a Big Band leader, and did arrangements for artists including B.B. King. Diane’s mother, “Martha Jean the Queen,” was an African-American pioneer in radio and one of the first female D.J’s in the United States. She helped to bring R&B music to the airwaves for the general public. Diane showed a photo of her mother on the cover with B.B. 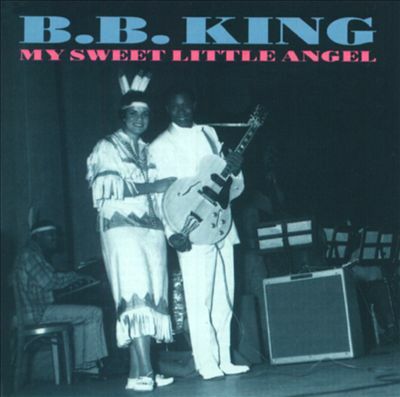 King on his album, My Sweet Little Angel, recorded in the 1950’s, but not released until 1993. B.B. signed the cover of Diane’s copy during their recent meeting. Diane and Kenny Lee hoped to talk with him further to add more of these memorable experiences to their memoir of Diane’s mother: Speaking of the Queen: from Memphis to Motown. Following her parents’ divorce, in 1963 The Queen moved with Diane and her two sisters to Detroit, where The Queen continued as a D.J., and a community activist through the 1970s. The Queen became involved in the ministry in 1984, and in 1997, after being named Michigander of the Year, purchased a radio station WQBH, an acronym for Welcome Queen Back Home where she worked until her passing in 2000. Diane was influenced by the encounters and events she was exposed to by her musical family. At age six, when she began “playing” the babysitter’s dilapidated piano, her father purchased a new piano for her. She still has this piano, which their dog, Sophie, “plays” when she wants a snack. As a child, Diane’s father brought home many talented musicians who helped her hone her craft. In 1997, her father, his siblings and their father received the W.C. Handy Award for Authentic Beale Street Musicians. In 2010, Diane’s mother was honored with a W.C. Handy Music Legacy Award for her years in radio, and on the same day the Steinberg family was presented with a Brass Note on the Beale Street Walk of Fame. At college, Diane studied dance, and then music while simultaneously teaching high school. In 1972, she got her first record contract with Atlantic, and later recorded for ABC Dunhill and Word. She performs both secular and gospel music, has written music performed by such artists as Natalie Cole and Cleo Laine, and wrote the theme music to An Evening at the Improv. She has performed with such music notables as Paul McCartney, Rod Stewart and the Steve Miller Band. Diane met her future husband when getting ready to record an album for ABC and she needed a new bass player. Kenny was recommended as a replacement. Diane said they fell in love and married in 1984; he gently reminded her it was 1983. She smiled noting many men are not sure of their anniversary. Diane has periodically returned to teaching in order to provide a more stable home environment to raise their two daughters. 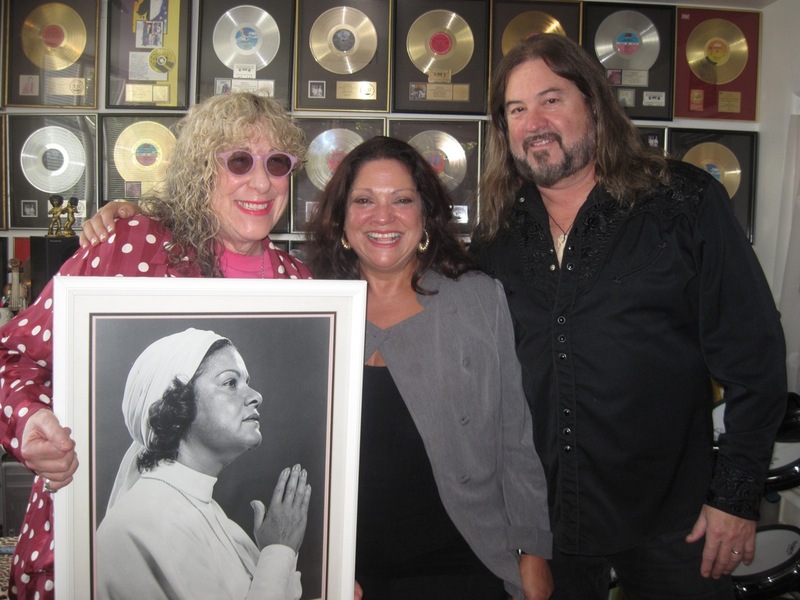 Above is a photo of Diane recording with her friend, Grammy Award-winning songwriter Allee Willis, with a picture of the Queen as inspiration. 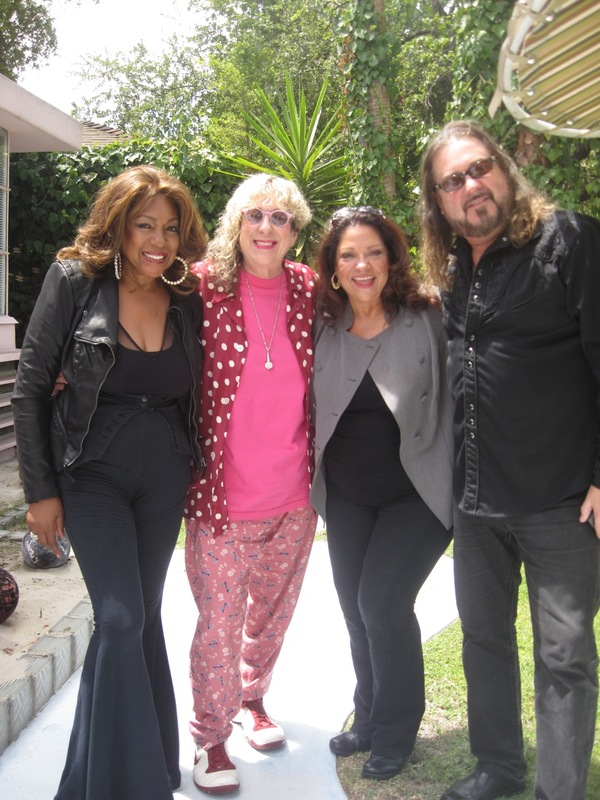 (Allee Willis is an award-winning, multimedia artist, who has written many well-known songs including Boogie Wonderland and September, made famous by Earth, Wind and Fire, I’ll Be There for You (theme from Friends), and co-wrote the Broadway musical version of The Color Purple. Kenny was born in Pasadena, but was raised in Sacramento. He is self-taught, initially picking up the ukulele at age seven and then playing his brother’s acoustic guitar in the sixth grade. Not long thereafter, he started playing an electric guitar he had borrowed. He credits his parents for being supportive of his musical focus. He was playing professionally at 15 and went on the road with his first band, Sand Castle, at age 17. He attended Cal State Northridge for a semester, but left when he got the chance to go on tour. After becoming a successful studio session bass player, he and Steve Miller drummer Gary Mallaber started a band, and were pursuing a record contract. Steve Miller contacted Gary asking for songs for an upcoming album. Kenny, Gary and guitarist, John Massaro submitted their eight demos, and Steve took then all. Steve then incorporated Kenny, Gary and John into his band. The album, Abracadabra, was released in 1982 which went multi-platinum. Kenny initially was guitarist for the band, but in more recent years has become the bass player. When I met with he and Diane in September 2013, the band had recently finished a tour in Australia and New Zealand, and on the top of his television cupboard, a colorful boomerang peeked out.